I know I'm not supposed to post photos of us online but this is just too cute!! Soalnya jarang banget Raka mau begini sama adeknya, cuek pisan dia (walopun sayang). 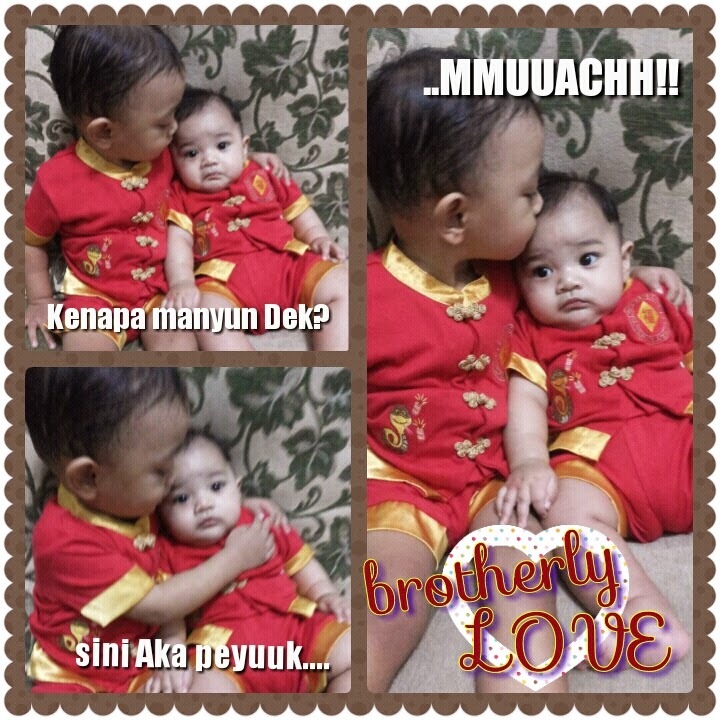 PS: thanks to Teteh Ega for taking the photos and Ninin for the cute matching outfits worn on Chinese New Year! Happy (belated) Chinese New Year! May the Year of the Horse bring prosperity for all... Neigh neigh! !